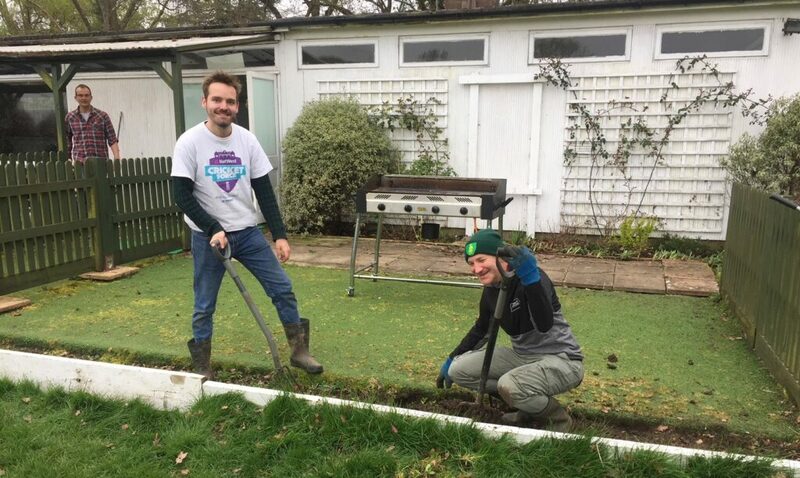 Cricket Force 2019 | Effingham Cricket Club. 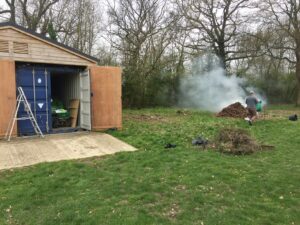 Saturday 6th April marked the 2019 edition of Cricket Force with the Effingham faithful making their way to the ECG to help prepare the ground and pavilion for the upcoming season. In contrast to recent years, the weather was cloudy and overcast though the ground had managed to hold up much better during its winter hibernation than last year. There were numerous jobs to be completed. A magnificent effort was made to ensure the clubhouse and terrace are ship-shape for the first matches as well as a deeply needed spring clean and re-paint of the changing rooms and showers. The car park and surrounding areas were cleared of the autumn leaves, and the area next to the clubhouse cleared down to make way for the newly reinstated covers. The nets were tied to their frames and the playing surfaces removed of weeds and debris. After the completion of the Cricket Force work, many showed further ECC dedication by heading to Felton Fleet School for our penultimate winter nets session. All in all, it was a tremendous effort and an enormous thank you is extended to all those who turned up on the day! It was a brilliant team effort and your help is deeply appreciated.